Nothing ties together an outdoor space quite like optimized lighting does. However, if you’re like us, you probably want your outdoor areas to look unique and tailored to your personal taste. 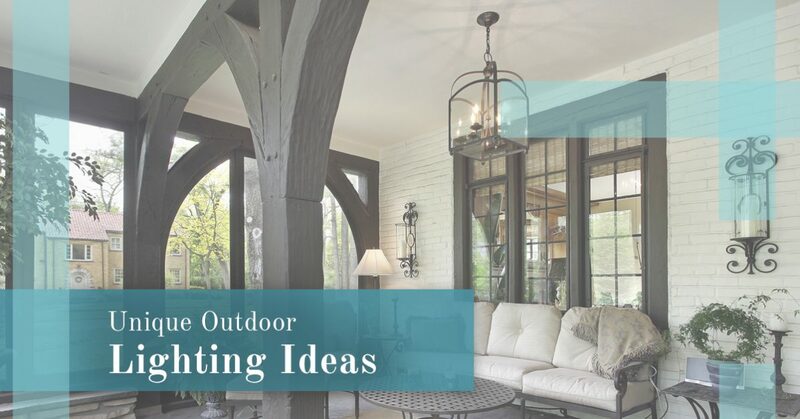 That’s why in today’s blog post, we’ll go over four unique outdoor lighting ideas that will spruce up your Cincinnati area home. At lighting(one) of Cincinnati, we offer a large selection of outdoor lighting fixtures you can choose from, ranging from hanging lanterns to modern solar lights. We’ve been helping connect local customers with their ideal exterior light fixtures for years, and we know we can help you find something that matches your style and your budget. Schedule a consultation with one of our lighting experts today to see how we can help you find the outdoor lighting solutions of your dreams, and continue reading below to learn more about the unique outdoor lighting ideas our lighting experts came up with! Highlighting your entrance lights is great not only for safety, but also for decorative purposes. Choose lights that properly illuminate any steps or pathways, and combine stylish wall lights, hanging lights and floodlights for the perfect mix. Pro tip: We suggest installing motion sensors in the light fixtures that surround your entryways as a means of convenience and protection. Solar lights are an economical type of outdoor lighting that are perfect for illuminating any pathways or walkways in your front or back yards. They’re super low maintenance, and the coolest thing about solar lights is that they turn on automatically. Choose path lights that match your style and budget, and from there, just focus on their placement. Path lights should illuminate every step that you and your guests will walk when in your yard, so make sure you purchase enough to decrease the chances of risks or falls on your property. OK, so this type of lighting isn’t exactly one that you “install” for your home and it’s a lighting option you can pick up at any of your local hardware stores. But regardless, we think tiki lights are a simple and fun way to add character to your outdoor spaces — especially any pathways or gathering areas! Just don’t forget to blow them out at night to avoid any fire safety hazards. Outdoor string lights are very trendy right now, and there’s a reason for that. String lights add an elegant effect to your outdoor spaces, and they provide warm, minimal light to create a cozy atmosphere. Whether you decide to hang these lights over a gathering area or above any of your trees and bushes, this type of lighting is extremely affordable and can be found in nearly any lighting or hardware store. Ready to get outdoor lighting for your Cincinnati home that all your guests will be envious of? 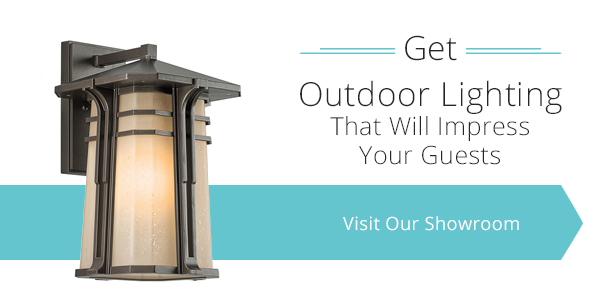 Browse our huge selection of outdoor lights at lighting(one) of Cincinnati today. Our lighting experts can take into consideration your lighting goals and desires, and from there, connect you with your ideal outdoor lighting solutions. There’s a reason we’ve been the areas top lighting showroom for several years — we offer an impressive selection of lighting products in our 4,000 square feet of space, and we provide unrivaled customer service. Visit us today to see how we can help you optimize the lighting inside and outside of your home.